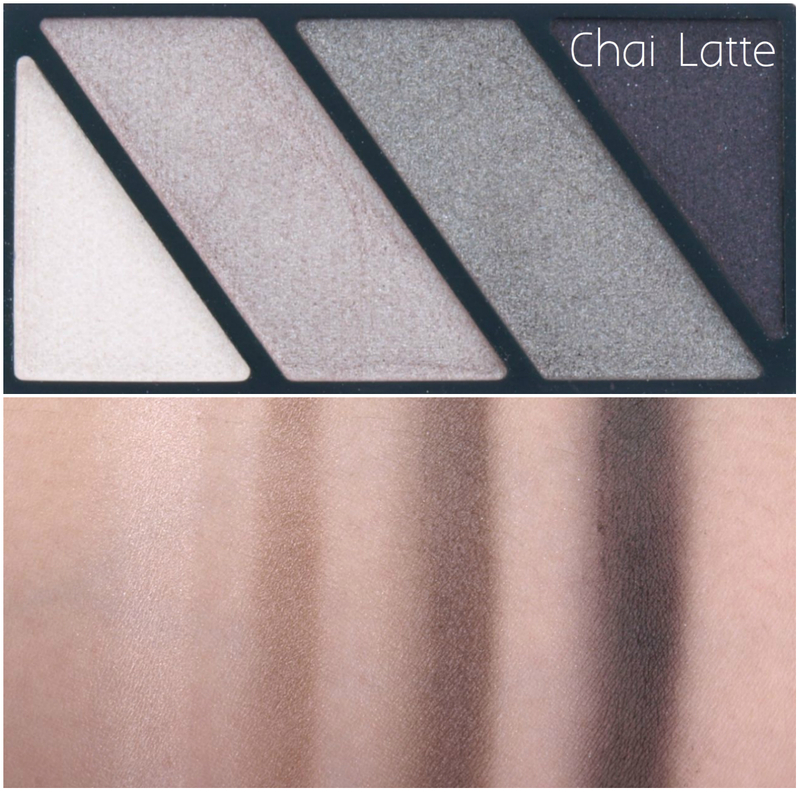 Mary Kay Mineral Eye Color Quad in "Black Ice" and "Chai Latte"
The Mary Kay Mineral Eye Color Quads are each sold separately from the compacts. 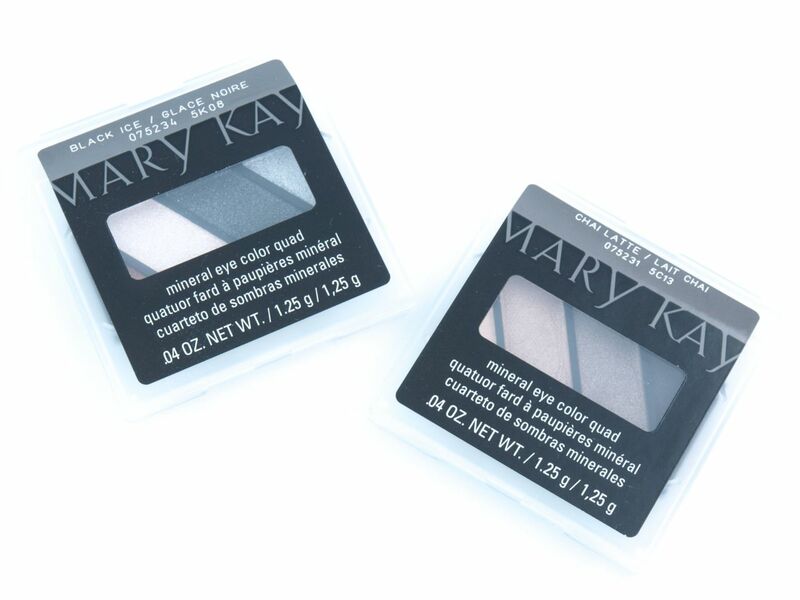 I usually don't mind the geometric designs of the Mary Kay quads but these Winter 2015 ones are not designed very well. I like applying my shadows with my fingers and the two smaller colors on the ends are a tad too small for my liking. I have trouble even fitting the tip of my pinky into them. 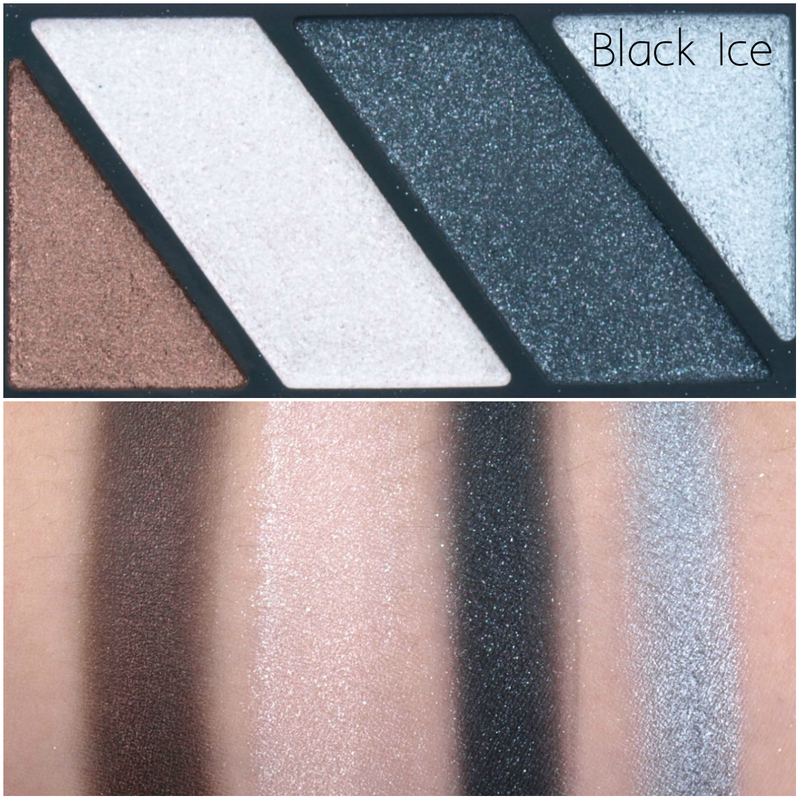 This quad features a dark brown with bronze shimmers, a sheer icy white shimmer, a dark black satin with icy blue shimmers, and an intense metallic silver shimmer. All these shades have a sparkly overspray, which is kind of misleading as they make the colors appear way more shimmery than they actually are. The overall formulation is very pigmented but both the white and the silver are very fallout-prone! 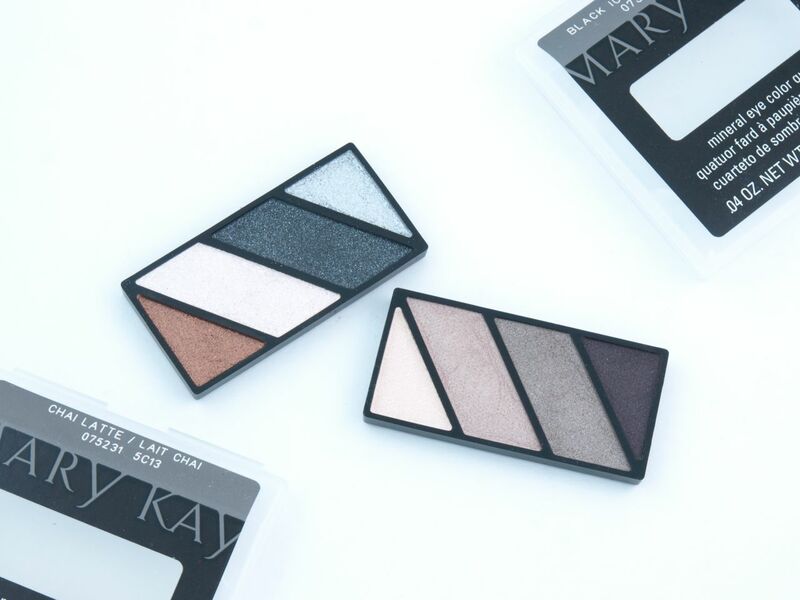 Mary Kay Mineral Eye Color Quad in "Black Ice"
This quad features a shimmery semi-sheer pale cream, a shimmery soft taupe, a taupe brown shimmer, and a dark brown satin. Again, all four shades have a shimmer overspray which makes them seem shimmery; however, when the shimmer spray rubs off after one use, the colors swatch a lot more satin than sparkly. The first three shades are all slightly sheer, which is a bit disappointing as they are all beautiful everyday colors. Mary Kay Mineral Eye Color Quad in "Chai Latte"
I usually love the Mary Kay quads but these Winter 2015 quads kind of missed the mark. The formulation is hit and miss and to me, the shimmery overspray was misleading as the shine and sparkles quickly dimish after the first swipe. The Winter 2015 collection is available through your local Mary Kay Consultant.